The new clothes will be available at Camp Flog Gnaw this weekend. 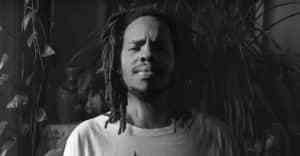 Earl Sweatshirt is joining the ranks of Odd Future members in fashion by releasing what appears to be a new clothing line later this week. On Twitter Wednesday the rapper shared a poster writing “come see and buy my new clothes they’re good i have no reason to lie.” His clothes will be available at Camp Flog Gnaw festival this weekend, where he’s also performing. If you’re not attending, there's an empty Instagram and website to keep tabs on for any future online releases. The logo for the new line is a spider dispensing silk, and the Instagram account description reads “FERAL HANDS KEEP A SPINNING ORB OF DEATH IN MOTION!” probably alluding to the fact that spiders literally create death traps. Basically, the project seems pretty on brand for Earl and fans will just have to wait and see what kind of web he’s spinning.